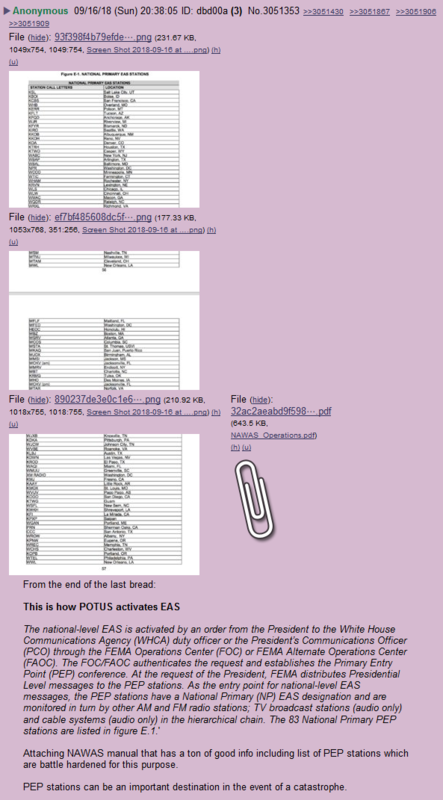 Before we get in to #NewQ, I want to make sure to post this impressive #QConfirmation an #Anon posted on the boards the other day. 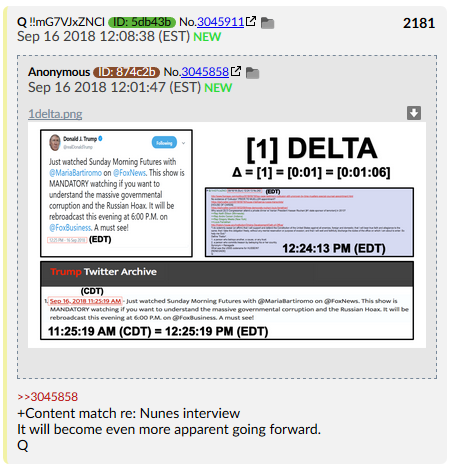 You’ll recall in the previous Q thread that I wasn’t exactly sure what Qdrop 2119 really meant. I posted this proof to Gab the other day, but I wanted to make sure to include it in an article for all my readers to see, because this is something special. I got a bit hyped watching this, I’ll admit. You’ll soon be getting a message on your phone from the President of the United States — whether you are a supporter or not. I love the reaction this is getting from those on the left. 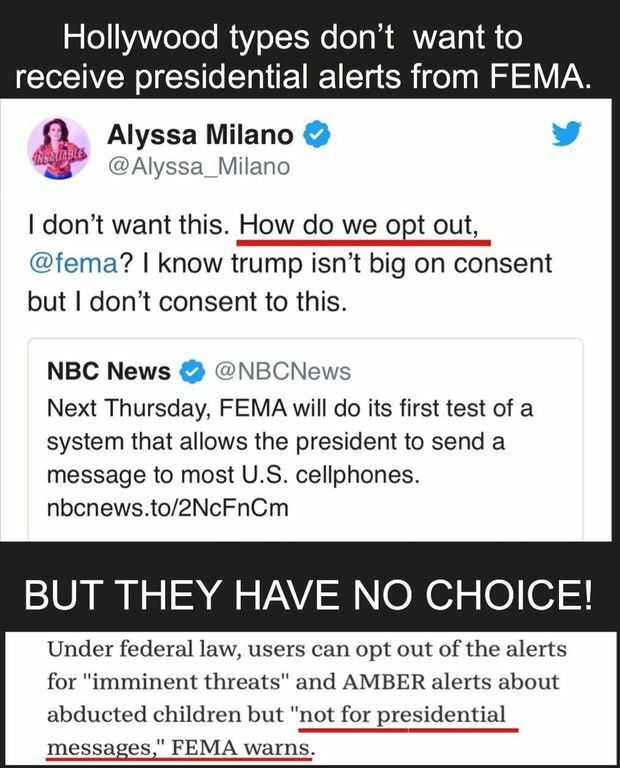 So many are freaking out at the mere thought of getting a test-message from #POTUS via FEMA. It’s this frothing, irrational hatred coming to bear as Trump “invades” their silicon safe spaces. And there’s nothing they can do to stop it, other than TURNING THE PHONE OFF, which, as we all know is a course of action anathema to those #BlueCheckmarks. So yeah, they’ll all be waking up to see President Trump’s FEMA tweets, first thing in the morning. Frankly, I wouldn’t be surprised if something was “accidentally” leaked through such a system. Sure, Boris. 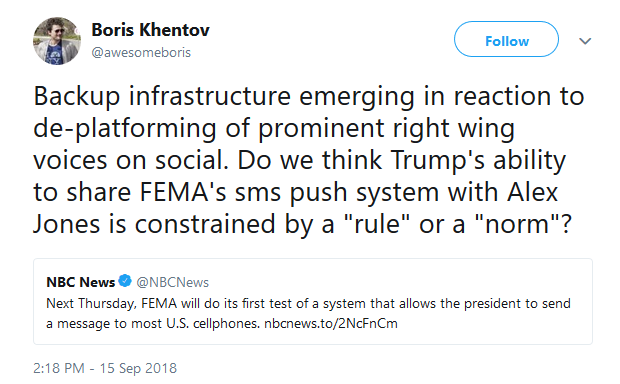 Trump is rolling out FEMA’s version of Twitter because Alex Jones got deplatformed. #LunaticLeftists actually think like this. It’s no coincidence that Q started posting along these lines after I started receiving blowback from the shills after I published that article exposing what appeared to be a network of subversives, hell-bent on co-opting and dividing the #QArmy. (That was a new one for me too, guys. For the record the QClock app always has been totally free. But the shilling is nothing new. Remember, at the time, people accused me of trying to spread a virus with the free app, too). But the truth be told, all this shilling is fine. I’m pretty sure ShareBlue has an entire wing of wage-slaves tasked with trying to debunk me now. How many thousands of dollars do you think they’ve devoted to trying to get me to veer off course now, and debunk me? Imagine thinking your level of faux-outrage somehow entitles you to a direct response from me, just because you tagged me in a post and called me some variation of the n-word – let alone think that you’re convincing anybody. 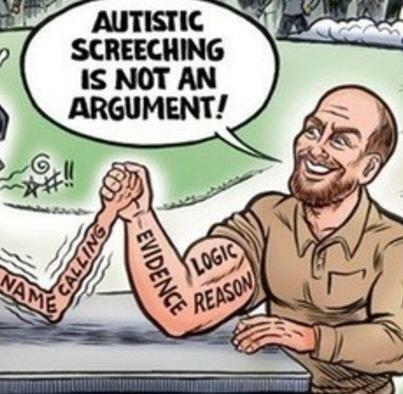 Frankly, I’m happy to have the shills continue to shoot themselves in their own, well normally, I’d say “foot” but the fact is, they might as well stick the hollow end of a shotgun under their noses and pull the trigger, given how much damage they’re doing to themselves with their rhetoric. It’s that obvious to all around what repugnant people these shills are. Heck, they’re practically doing my job for me at this point! I don’t have to convince anyone I’m right. They just have to look at the ugliness of the shills and they get turned off immediately. And truth be told, these shills can go sit on a cactus for all I care. Let them scream and cry and shriek all day. I laid out the evidence, I made my position exceedingly clear, and demonstrated a plan of action. In response, it’s been a constant barrage of attacks. 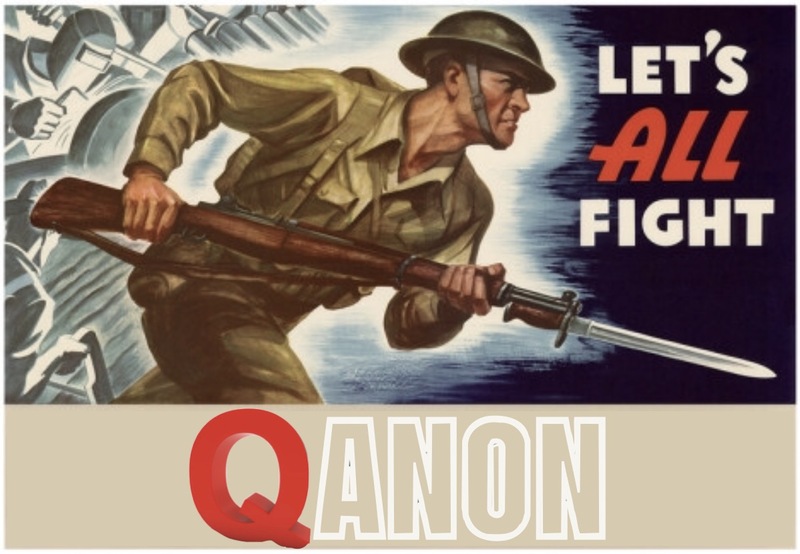 And do I need to remind you about what Q has said about those who are attacked the most? (It’s also worth nothing that I’m FAR from the only one who has spoken out along these lines. But you’d have to be paying attention to it, and not just trying to find yet another excuse for #RageShilling). And while I’m sorry some people’s FEELINGS may have gotten hurt by this course of action, we had a choice: to protect people’s FEELINGS, or to protect the integrity of the boards. 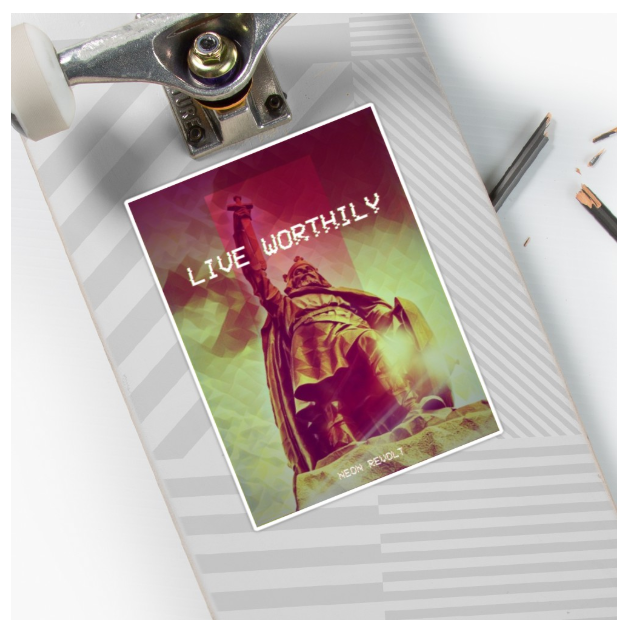 We chose the preserve the integrity of the boards, and no, that is not up for negotiation. Like I said before, It’s basic OPSEC. If you don’t agree with us, you are of course, free to leave. You’ve always been free to take home your ball and go sit under a log and pout, kick, and scream like a spoiled child. In fact, I’ve encouraged many to leave over the past year. 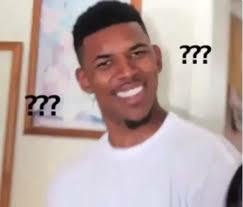 I have no interest in forcing you to participate in anything I’m a part of, and I don’t even have a desire to try and convince you to come along. I will, of course, invite you along (and tell you why), but there’s no coercion here. If you think you can go and build something better, please, by all means do. But I know where I will be. And I’m bringing a whole party with me. TLDR: Stay butthurt and salty, shills. It’s more entertaining that way. You’re just mad that you lost what little remaining sway you had over the Q Community, and your motives couldn’t be more transparent. 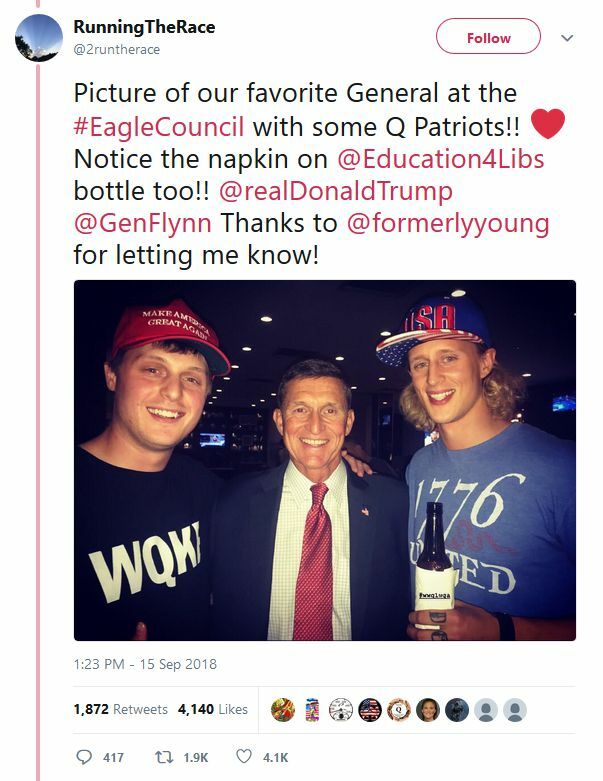 It’s no coincidence that Q posted a picture of @Education4Libs posing with Gen. Flynn. 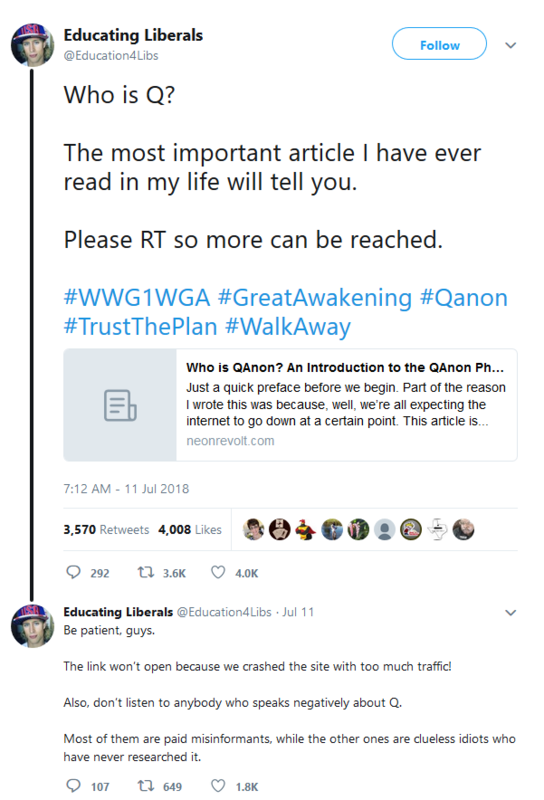 @Education4Libs literally came out for QAnon using my article. 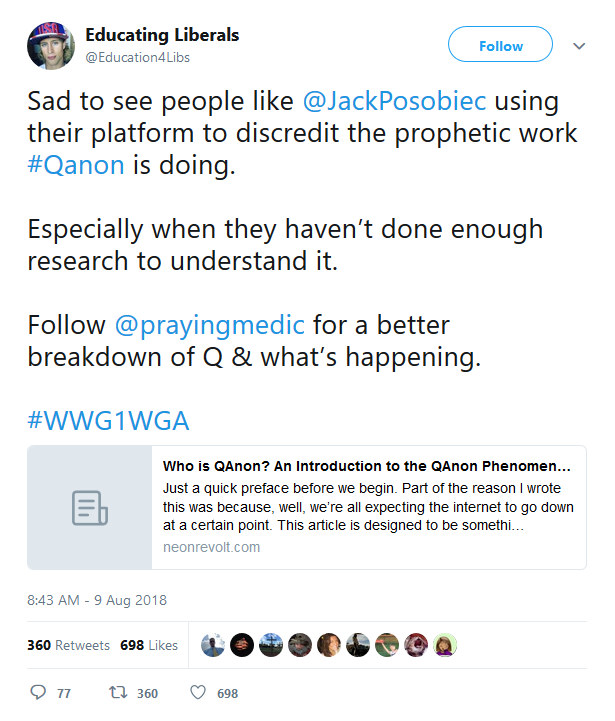 If I was working to secretly undermine the community, do you think Q would HIGHLIGHT guy who has HEAVILY referenced by research on more than one occasion now?? I remember this because all the traffic Education4libs sent over that day crashed my site hard. I had to scramble to upgrade my servers to handle all the new traffic. But I don’t think other people are remembering so well these days. And I want to make clear, I love the work Education4libs does. I wish he were on Gab. But I know he’s got a YUUUUGE following on Twitter, so he can’t just abandon those folks. But how quickly we forget the little details like this. 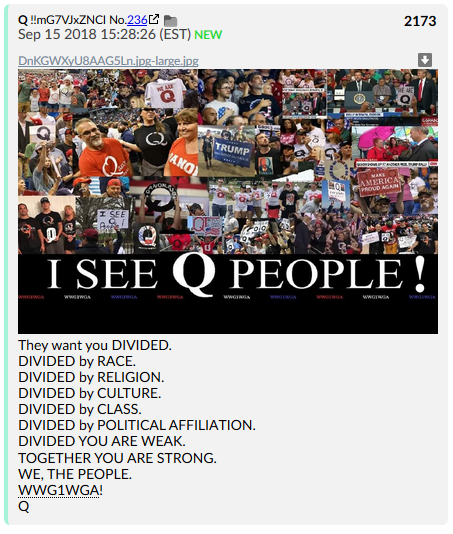 Who is really trying to divide the QCommunity? Those shrieking about not retaining control and slinging a seemingly endless series of slurs? 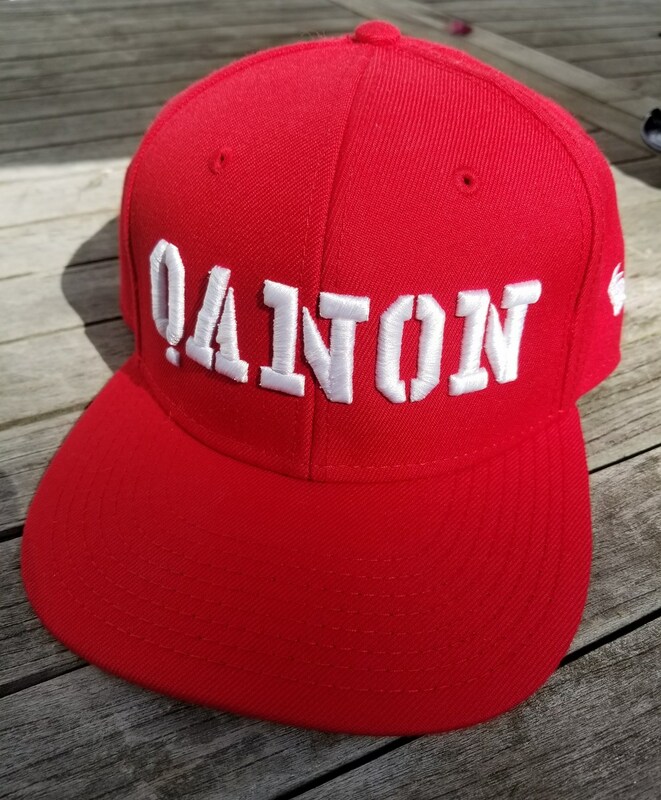 Or those who have been in this since the beginning, presenting evidence, taking a course of action, and helping some of the biggest names around spread the word about Q? That’s all I’m going to say about this matter. I’ve made my choice. I’m sticking to my guns. 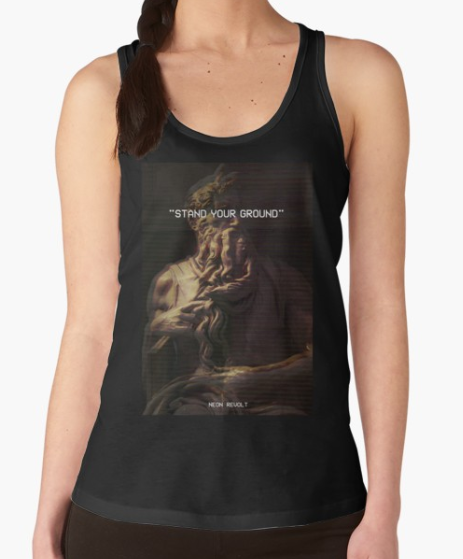 Grow a spine and make yours already. Unseal the FISA redactions? We should be alarmed by what’s already disclosed Will this be the week? 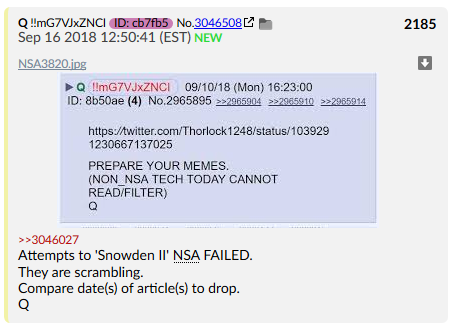 With bated breath, we wait to find out whether we’ve reached the moment, after the Labor Day end of summer, just as the critical midterm races heat up, when President Trump will follow through on his threat to declassify and publicize key FISA-gate documents – in particular, the redacted portions of the Carter Page surveillance-warrant applications. Will this be the week? With bated breath, we wait to find out whether we’ve reached the moment, after the Labor Day end of summer, just as the critical midterm races heat up, when President Trump will follow through on his threat to declassify and publicize key FISA-gate documents — in particular, the redacted portions of the Carter Page surveillance-warrant applications. I hope the president follows through, at least to the extent he can do so without putting intelligence methods and sources at risk. Accountability is essential here. The FBI and the Obama Justice Department launched an investigation of the Democrats’ political adversaries, and they used Clinton-campaign-generated, foreign-provided innuendo to do it. They strained to make a case on Donald Trump even as they were burying a daunting criminal case on Mrs. Clinton. As I have previously explained, moreover, the president was misled about his status: not only was he a suspect in the investigation, he was the main suspect. The main suspect in an investigation with no crime. I love that this stuff is starting to get spread outside the Fox-News-Universe, and getting covered in more and more publications. Put aside that it is against Justice Department and FBI protocols to confirm the existence of an investigation and to identify as suspects uncharged persons or entities (“individuals associated with the Trump campaign”). It is simply not the case that every counterintelligence investigation includes “an assessment of whether any crimes were committed.” Most counterintelligence investigations have no interest in crimes. Rather, in any random investigation, if evidence of a crime the investigators were not looking for happens to turn up, an assessment is then made of whether it should be referred for prosecution. This assessment is not supposed to be built into the process because it is extraordinary — the purpose of FISA is not supposed to be to build a criminal case. That’s why very few criminal cases include FISA evidence. Director Comey’s testimony echoes the assertion in the FISA warrants about having “prosecutive authorities” weigh in. And Comey’s testimony was expressly incorporated in Rosenstein’s appointment of Mueller. The special counsel was given the counterintelligence investigation of Russia. That investigation itself was real, but its assignment to Mueller was camouflage, because a counterintelligence investigation does not need a prosecutor. For Mueller, the Russia counterintelligence probe was cover to conduct a criminal investigation of Trump in the absence of grounds to believe a crime had occurred. Those are the highlights (at least for me), but the whole article is worth reading – and especially for circulating online. It really is time to start spreading the word, and someone who might reject Fox News because they’re Fox, might be forced to reconsider their ideas once they see publications like National Review pushing stories like this. In other words, there’s memetic value here. Don’t squander it! Bill Binney called it! So did Sen. Grassley! 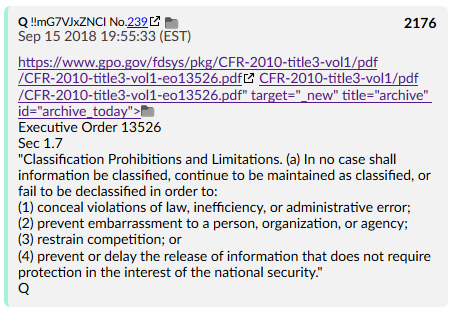 You can’t use classification to hide criminal activity! The best part is, this is OBAMA’S law. Trump is going to undo Obama using his own legislation! It doesn’t get much sweeter than that, folks. Could be nothing. Could be a puzzle-piece. Just figured I’d make you guys aware, either way. This turning point is about the heart and soul of the United States of America. You cannot and must not be silent or take for granted that our great nation, that our great nation will not fall to the many threats that we face around the world, and some right here at home. It is time, it is absolutely time, it is time tonight, it’s time this weekend, it’s never a better time, it’s time to buckle down and listen up and stand ready to fight for our way of life, and our traditions. For those who oppose our fundamental principles – could take us down in the snap of a finger. 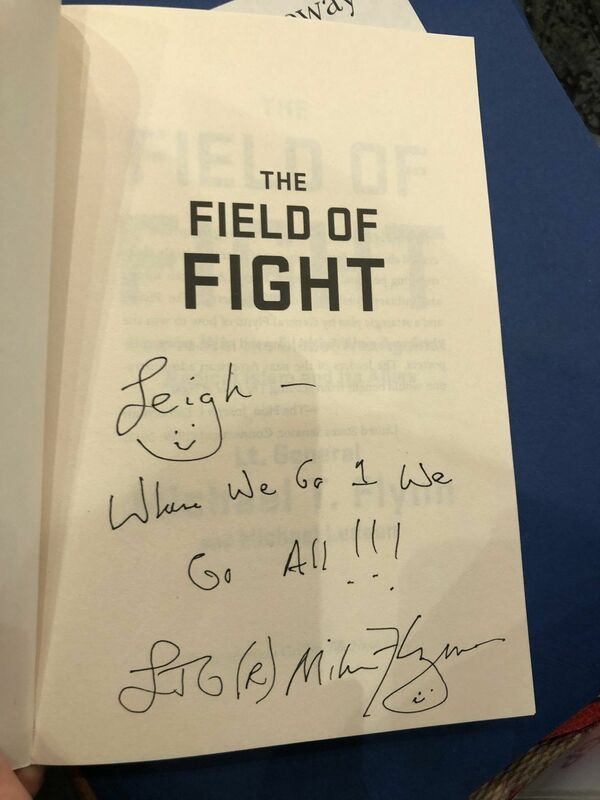 In my book, in my book the Field of Fight, I stated, and it’s on page 111 for anyone who wants to look if you’ve got the book. I’ve stated that we should not fear the Judeo-Christian principles that our nation was founded upon. We should cherish that. We should believe in that. We should be incredibly proud of that. 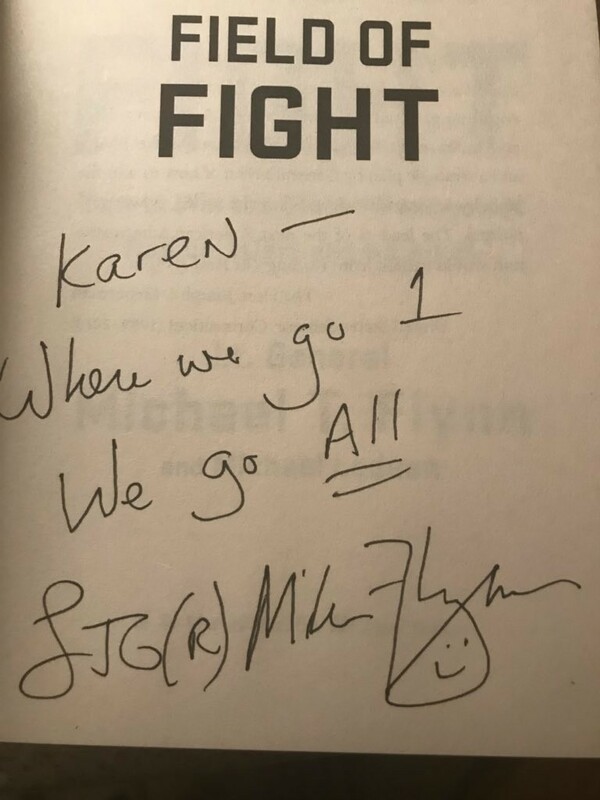 It should be noted that after the speech, Gen. Flynn signed some books with #WWG1WGA! Yeah, make no mistake. Gen. Flynn is /ourguy/ six ways till Sunday. More than nine months after the FBI opened its highly classified counterintelligence investigation into alleged coordination between the Trump campaign and Russia, FBI lawyer Lisa Page told a House committee that investigators still could not say whether there was collusion, according to a transcript of her recent closed-door deposition reviewed by Fox News. More than nine months after the FBI opened its highly classified counterintelligence investigation into alleged coordination between the Trump campaign and Russia, FBI lawyer Lisa Page said investigators still could not say whether there was collusion, according to a transcript of Page’s recent closed-door deposition reviewed by Fox News. “I think this represents that even as far as May 2017, we still couldn’t answer the question,” Page said. Page was responding to Republican Rep. John Ratcliffe of Texas, who wanted more information about a May 2017 text where Page, and her then colleague and lover FBI agent Peter Strzok discussed the merits of joining Special Counsel Robert Mueller’s team. Page sat for the transcribed interview before the House Judiciary and Oversight committees in mid-July as part of a joint congressional investigation into the Justice Department’s handling of the Russia and Clinton email probes. Yeah, Page is playing ball, if only to save her on skin. House Permanent Select Committee on Intelligence Chairman Devin Nunes said Sunday that he plans to release transcripts of interviews with around 70 witnesses in the Trump-Russia probe within the next few weeks. The committee conducted 73 witnesses as part of its investigation, which began its investigation in January 2017. Members of the Trump campaign, FBI officials, and various intelligence community officials from the Obama administration were all interviewed as part of the probe. Republicans on the committee released a 253-page report on April 27 which found no evidence of collusion between the campaign and Kremlin. /Ourguy/ Nunes wouldn’t do this unless it was to help end the Mueller Investigation. And to have SEVENTY-THREE testimonies to call on, all in support of the same conclusion… COME ON! Nunes said the process will only take “days” to scrub these testimonies of any potentially classified info, so let’s hope we get these this week. Why would  D Congressman attend a private dinner w/ Iranian President Hassan Rouhani [#1 state sponsor of terrorism] in 2013? It’s because they’re Muslim Brotherhood. Three Democratic congressmen attended a private dinner hosted by Iranian President Hassan Rouhani in 2013, a new report reveals. Reps. Keith Ellison of Minnesota, Andre Carson of Indiana and Gregory Meeks of New York attended the private dinner, along with Louis Farrakhan, a notorious anti-Semite who leads the black supremacist group Nation of Islam. Make no mistake: none of these guys were elected legitimately. They were inserted through voter-fraud. After he was defeated for re-election in 1989, New York Mayor Ed Koch was asked if he would ever run for office again. “No,” Koch replied. “The People have spoken … and they must be punished.” So too, the Minnesotans. Yeah, Ellison is a woman-beater. And he still won. Something smells rotten in the state of Minnesota. 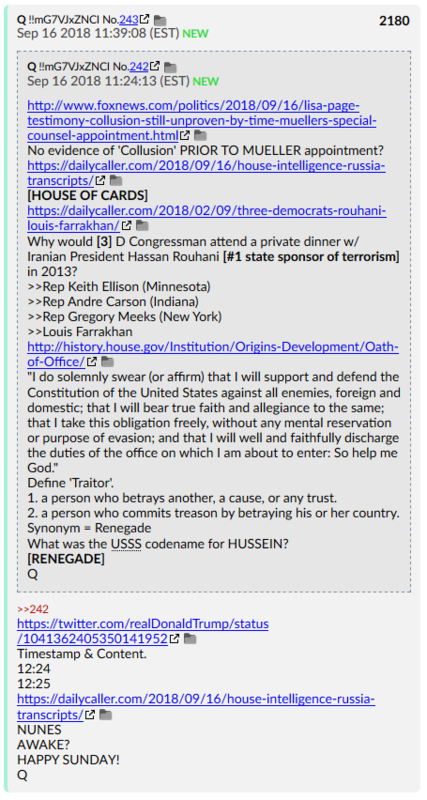 Q ends this drop with a link to the House’s page on the Oath of Office. “The Senators and Representatives before mentioned, and the Members of the several State Legislatures, and all executive and judicial Officers, both of the United States and of the several States, shall be bound by Oath or Affirmation, to support this Constitution; but no religious Test shall ever be required as a Qualification to any Office or public Trust under the United States.”- U.S.
Obama violated his Oath of Office, and systematically attempted to insert agents with foreign allegiances into all levels of government. 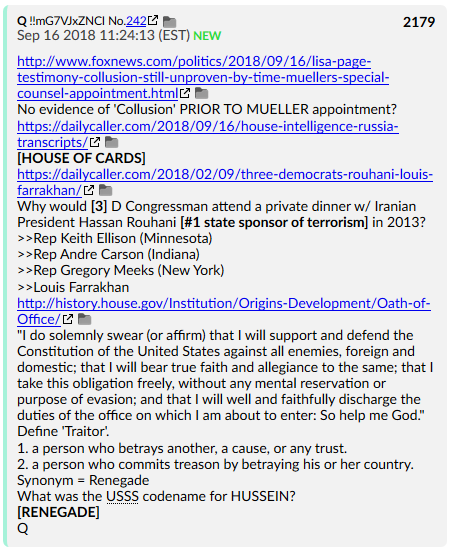 They are all traitors (as denoted by Q’s use of the [killbox]), and they will all be brought to justice. 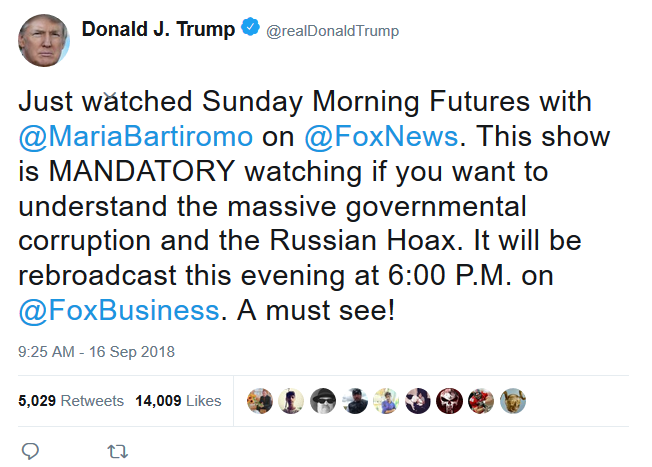 Bartiromo is one of /ourgals/ getting the inside scoop. The best part of this video? 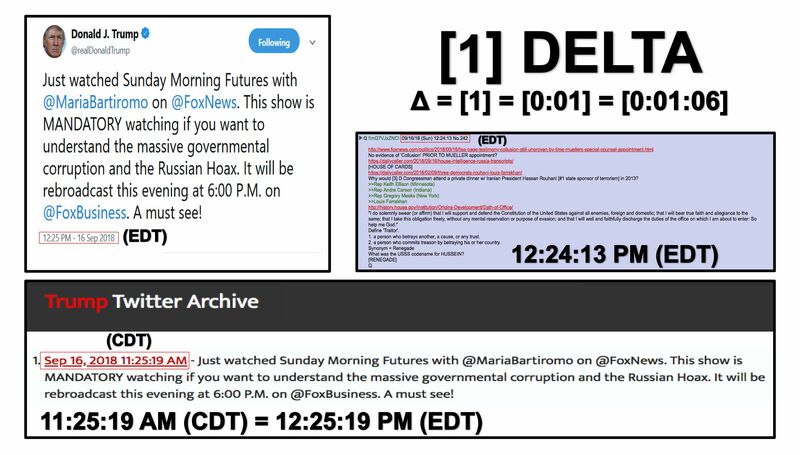 When Maria refers to all the Deep State actors involved as “#TheCabal” at 11:12. I’m putting that one down as a #QConfirmation. And this is kind of extraordinary, because… If Q purposely timed this, that’s wild. In case it isn’t clear, the post number on his previous post was 3045911. 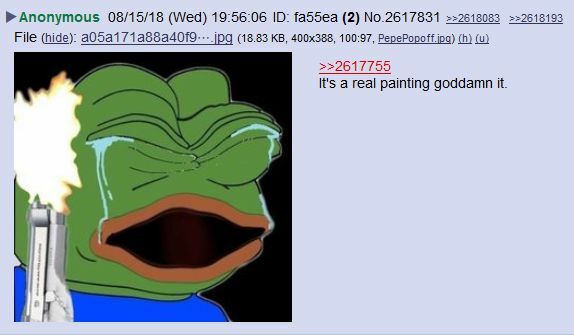 Q is suggesting this was intentional. Facebook Inc. said Thursday that it would begin to fact-check photos and videos shared to its platform. So far, most of the work done by human fact-checkers on Facebook has been geared toward articles, the company said in a release. Will we have a Tay 2.0 on our hands here, Q? Regardless, they may take our lives! BUT THEY WILL NEVER TAKE OUR MEMES! To date, Lisa Page’s infamy has been driven mostly by the anti-Donald Trump text messages she exchanged with fellow FBI agent Peter Strzok as the two engaged in an affair while investigating the president for alleged election collusion with Russia. Yet, when history judges the former FBI lawyer years from now, her most consequential pronouncement may not have been typed on her bureau-issued Samsung smartphone to her colleague and lover. So, by the words of Comey, Strzok and Page, we now know that the Trump Justice Department — through Deputy Attorney General Rod Rosenstein — unleashed the Mueller special prosecutor probe before the FBI could validate a connection between Trump and Russia. Which raises the question: If there was no concrete evidence of collusion, why did we need a special prosecutor? 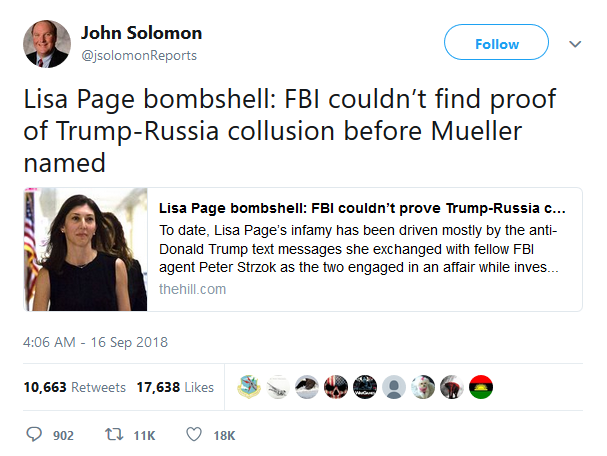 Page’s comments also mean FBI and Justice officials likely leaked a barrage of media stories just before and after Mueller’s appointment that made the evidence of collusion look far stronger than the frontline investigators knew it to be. Text messages show contacts between key FBI and DOJ players and the Washington Post, the Associated Press and the New York Times during the ramp-up to Mueller’s probe. And that means the news media — perhaps longing to find a new Watergate, to revive sagging fortunes — were far too willing to be manipulated by players in a case that began as a political opposition research project funded by Trump’s Democratic opponent, Hillary Clinton, and led by a former British intelligence agent, Christopher Steele, who despised Trump. I know we get impatient, and we want to see justice rolled out immediately… but I’ll be honest. I’m learning to love the slow-walk of justice. It’s so methodical. So scripted. So meticulous. There’s a genius behind it that you really just have to stop and admire sometimes. Facebook announced its “machine learning” censorship AI after “Snowden II” failed to infiltrate the NSA. 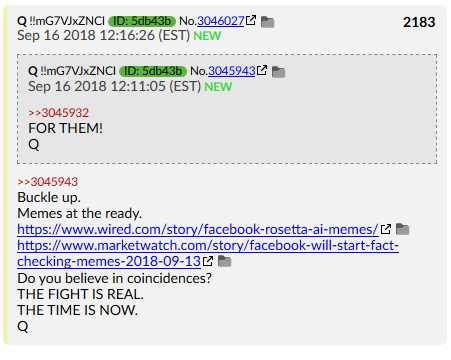 Q has been trying to get memes prepped for the upcoming battle. Make sure you’ve stocked up on memetic ammo before then. I’ll have a how-to guide coming out soon. 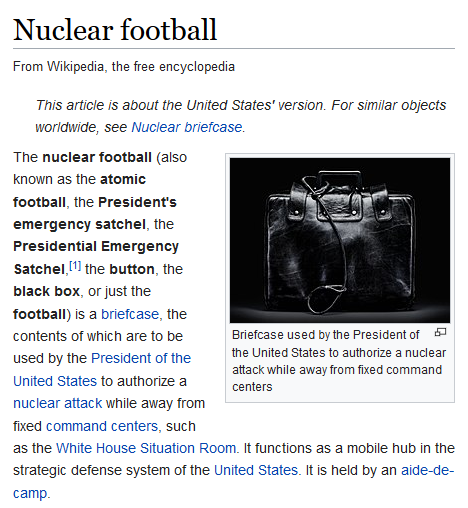 What I believe Q is saying is that they need direct approval from POTUS for this Emergency Broadcast to take place – and only he has the ability to access and approve this course of action, even when he’s away from a command center – much like how the the Nuclear Football allows him to protect the United States when he’s on the move. And then there’s another layer to all this we can peel back. The first message is scheduled to go out at 2:18 PM, EST. Exactly 33 minutes after the Kavanaugh confirmation vote. And as you are probably aware by now, 33 is one of those numbers beloved by groups like the Freemasons. Much like all of Q’s “23” references (Skull and Bones’ number), is this yet another dig at #TheCabal? And even bigger ones to come! I don’t know about you, but I’m starting to get pretty hyped! Hey guys, thanks for reading and sharing my articles today. 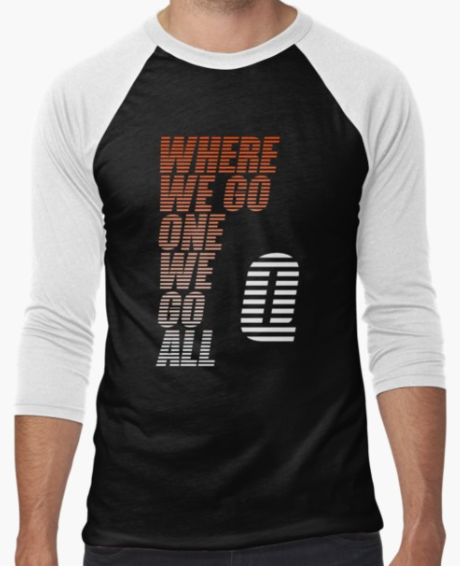 By now you know about my Threadless store, where you can buy all my awesome t-shirt designs, including the excellent Where We Go One, We Go All – Tigerstripes shirt. 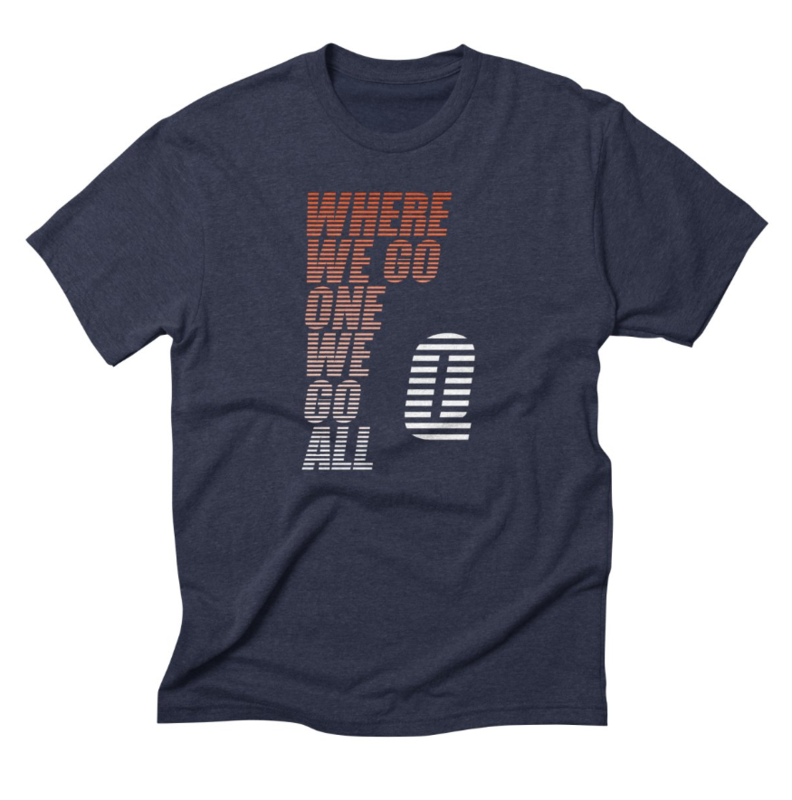 This is a men’s tri-blend t-shirt in navy blue, but we’ve got this design and more on shirts for women, children, long sleeve, short sleeve, hoodie, heck – even shower curtains (if you’re so inclined). Got a Trump rally coming to your neck of the woods? I’d love to see if one my readers could get a call-out from Trump! 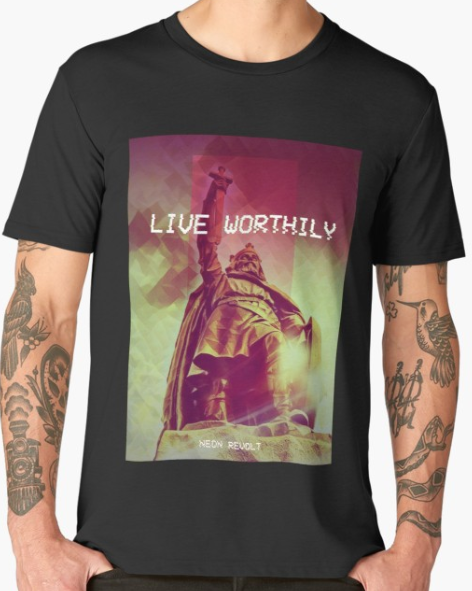 Threadless is great; they’ll get your shirt printed and out to you in a jiffy, and you’ll be supporting my work, like the article above, here on the site. 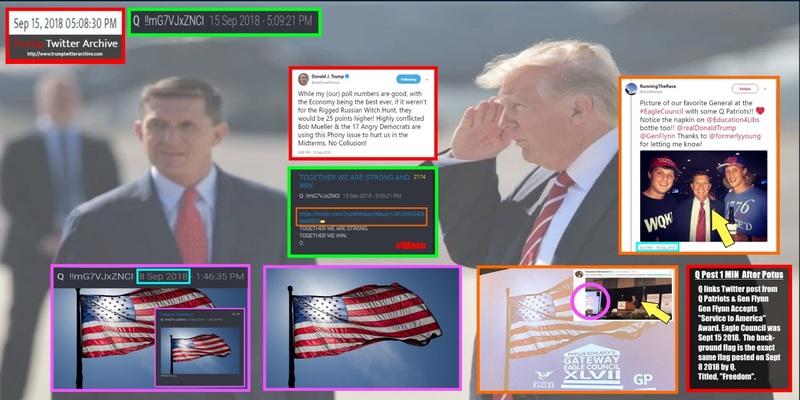 Huge respect to you, Neon Revolt for your MASSIVE contribution to Q’s efforts in conveying to the MILLIONS of followers ww these momentous events. The Trumperland video has given me a huge amount of light relief. Could watch it every day laugh out loud recite every name that is going DOWN DOWN!! Been waiting all weekend for this post!!! So grateful for everything you do!!! Were I not a devout Christian,I would be sorely tempted to conjure the spirit of Alfred Packer ,”for such a time as this”.As some of you might remember,Alfred was a rugged Colorado mountain man who was engaged by a group of business men to guide them through mountain passes in the old west of the 1860s.After several months of no one having heard from any member of this party,with the late spring thaw,Alfred emerged from his journey alone with tales of extreme hardship and tragedy.Under further questioning,Alfred confessed to having to resort to cannibalism in order to survive.At his trial in Denver the Arapaho county judge was heard to say the timeless (to me)comment that tempts me to summons this hardy individual back from the great divide.Just before ruling for aquital the judge declared,” G__damn it Alfred,there were only 7 democrats in all of Arapaho county and you went and ate 6 OF THEM !! !”.I have decided instead to launch the’ALFRED PACKER SOCIETY’ ( taa-daaa !!!) Membership fee will consist of 3 dems.per quarter or a discounted per anum fee of only 10 dems.!!! Also,for our sister Anons,I am considering a complimentary club to be named the “Charlotte Cordays”to deal with the biased ultra-liberal “Jean Paul Marats”that are in need of a bathroom visit .Membership would be gratis but potential members must posess’pluck’ and have a working knowledge of cutlery. Where did that epic Whitemail vs Blackmail come from!? Wow, folks! I’m largely ignored across most platforms which is ok. I’m just a foot soldier. If they are censoring me that heavily, then maybe they are leaving someone more visible alone. Case in point, I’ve followed @educatingliberals for at least a year and I’ve never seen any post from him involving Q. Obviously, others have. 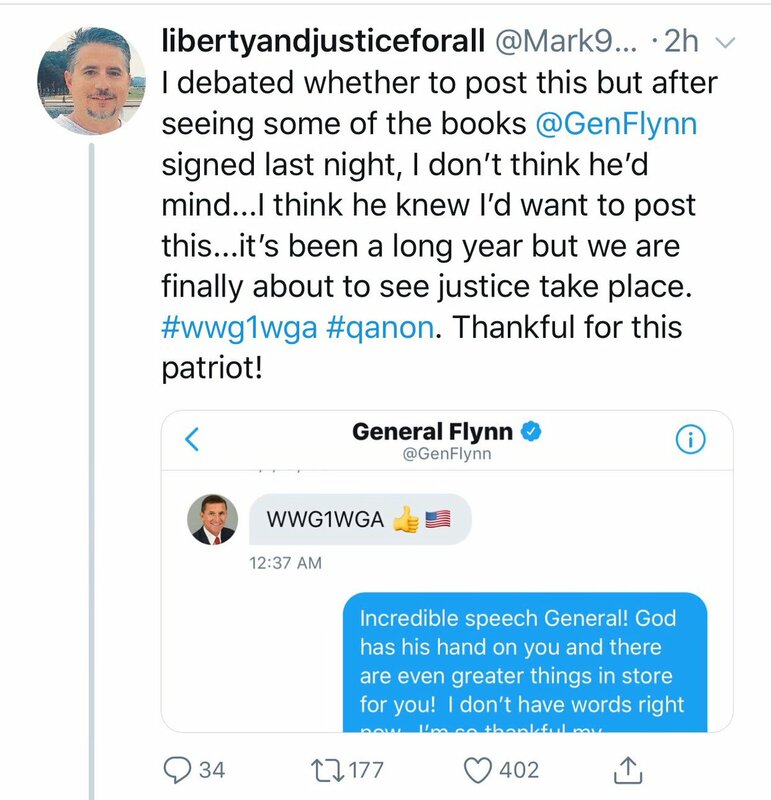 I was aware of most of the Gen Flynn WWG1WGA references. Why is Mike Flynn Jr. freaking out about this? Anyone have a guess? 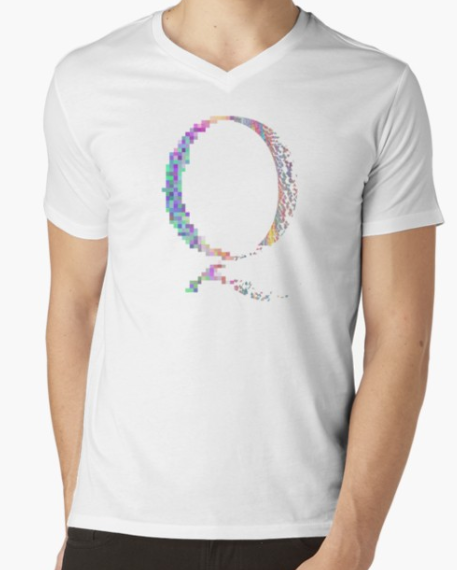 It puzzled me when he came out against Q before and even more so now? Could be ‘disinformation is necessary’. 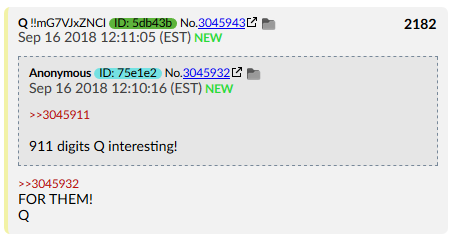 Alluding to Q, puts a target on his back. Like when Roseanne’s kiddos were trying to keep her from tweeting about Q. Concern for safety. I have her blocked on Twitter because, well, she’s stupid, but her reaction to the EBS message from the President tickled me very much! Like all those celebs, threatening to leave the country if Trump won. Still here, dang it!! NR, followed you to Voat, now to 8chan, thanks for all you do, I think they’re releasing more “proofs” now, as the audience grows. Amazing stuff!! 3045911? Is anybody else noticing this? 30 45 911? President Trump is 45! I wonder if the 30 means something? Speaking of Gematria and the like, I just had an epiphany! How many characters (including the spaces) 17! 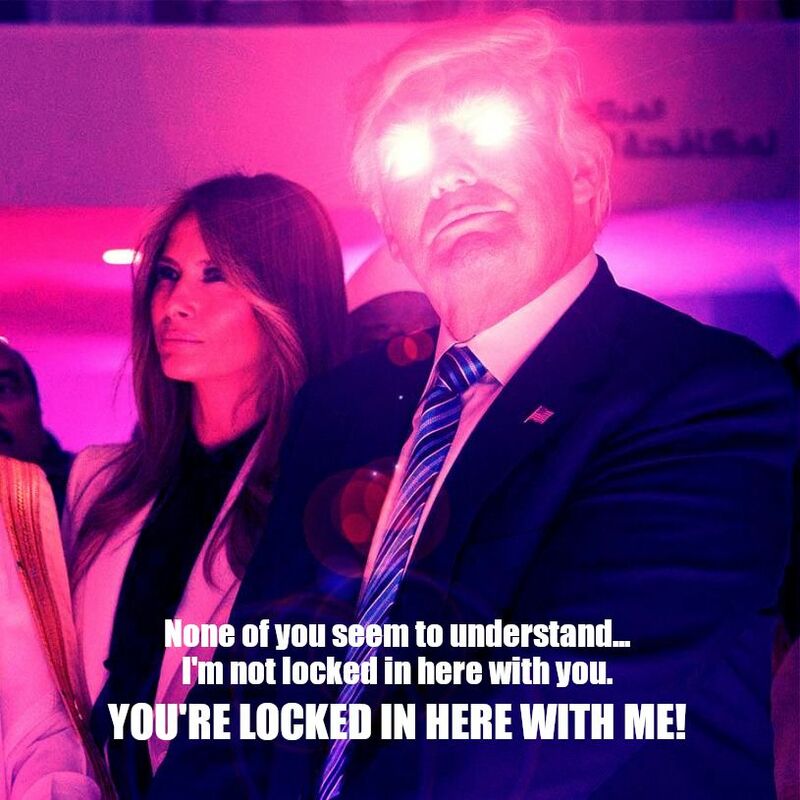 Trumps aparment is on level 66. And the mkultra attack on POTUS which failed on kearney street was on route 66. I think universal goodness is in play, numbers are working against them. POTUS, Q et al please I beg YOU, stop f’ing around and pull the trigger. While you’re trying to time everything perfectly you’re risking the chance of losing the shot. By constantly delaying you risk completely unforseen events from causing the greatest missed opportunity since not closing the Falaise gap in WWII. Don’t let perfection be the enemy of the good. Fortune favors the bold. No plan survives contact. Act now while you still can. Oh, I see some links on the chan image you posted on the next article, 8-chan-bootcamp. Always wait in anticipation for your all your posts, brilliant stuff and thanks for the hard work and effort. The Federal Emergency Management Agency (FEMA), in coordination with the Federal Communications Commission (FCC), was set to conduct a nationwide test of the Emergency Alert System (EAS) and Wireless Emergency Alerts (WEA) on September 20, 2018. The Nationwide Wireless Emergency Alert Test will now occur on October 3 due to the severe weather events in North Carolina and South Carolina. We will conduct a national test of the Emergency Alert System (EAS) and Wireless Emergency Alert (WEA) with radio, TV, cable stations, and wireless carriers on September 20, 2018. The WEA portion of the test commences at 2:18 PM EDT and the EAS portion follows at 2:20 pm EDT. The WEA portion of the test commences at 2:18 p.m. EDT, and the EAS portion follows at 2:20 p.m. EDT. The test will assess the operational readiness of the infrastructure for distribution of a national message and determine whether improvements are needed. 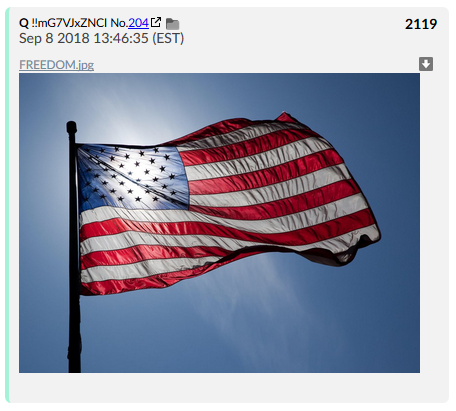 It looks like the http://www.breaking 911.com message of a date change to October 3, 2018 is not mistaken or a typo. This link below seems to confirms it. I don’t have Twitter, so I’m probably the last one to see this, but thought it quite important. I have been a yuuuuuge fan of your website since I recently found it. Neither you nor I have the time for me to tell you how much I admire you and your work. I know all your readers will be able to verify this info ASAP. This just in – KABOOM! 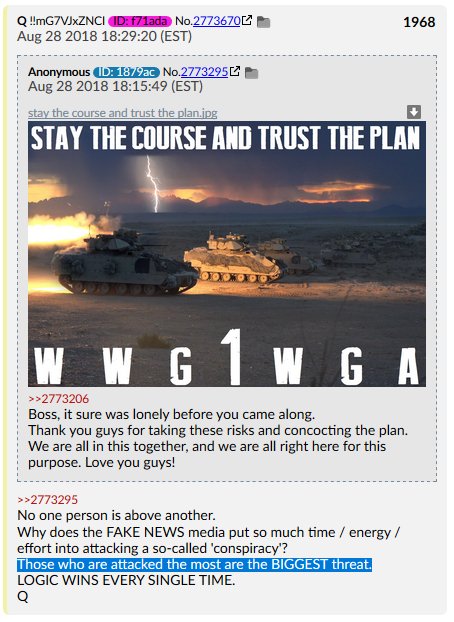 I keep up with the Q posts and I understand most of them, but I love your narrative on them and your explanations and expansions! Thank you! 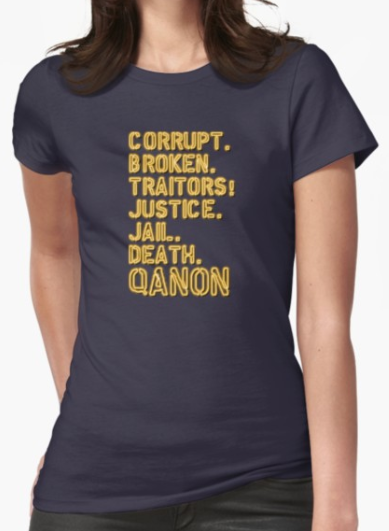 wwg1wga!! I can tell you, I believe Carson has been put into place from voter fraud all these years, he couldn’t get a DOR badge without grandma’s help. I signed up for absenteeism voting duties last primary, you would not believe the ratio of Dem to Pub offset: it was 75 democrats to every 1 republican, felt really out of place and uncomfortable, but i talked to a few people and they told me they really have not voted dem in years, they just never registered as independent. Here in Indiana, in a primary, you have to either vote a democrat or republican ballot, and whichever you do, that is what your voter registration is. Indianapolis politics is dirty as hell, Curtis Hill is being hunted because I believe he has the info on the IP addresses leading to the vote rigging that has been going on. I don’t have to convince anyone I’m right. They just have to look at the ugliness of the shills and they get turned off immediately. The essence of the ad hominem fallacy. Are you sure you want to say that your audience easily falls for fallacies? In fact, I’ve encouraged many to leave over the past year. Learn the comms, folks. Q couldn’t be more explicit without holding your hands. FOR THE SAKE OF GOD, PLS HELP THIS MESSAGE GET TO THE NSA !